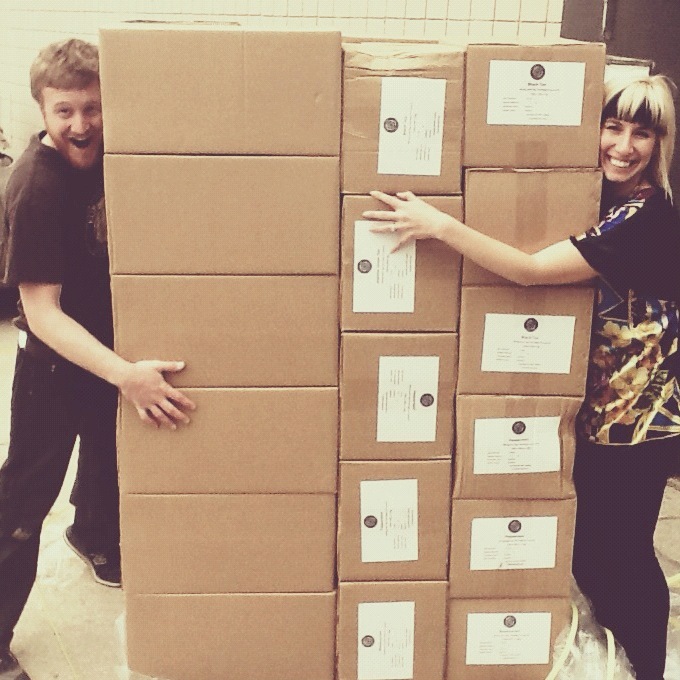 Our very first, and long awaited tea line has been packaged and shipped all the way from Sri Lanka. Our tea arrived in New York City last month, and was being processed by customs in Kansas City, Missouri. Then, it shipped to St. Louis and now it is here! The flavors we will be featuring include: Black Tea, Jasmine Green Tea, Peppermint Tea (decaf), and Black Currant black tea! We are so excited about the opportunity to soon serve tea with a purpose! In the next month our existing Partner and Wholesale accounts will have the opportunity through an exclusive “soft-launch” to begin purchasing our tea to serve and sell within their organizations, churches, and communities. After our “soft-launch” we will open up the tea line for everyone. Stay tuned for details on how to make your tea count. If you are interested in becoming a Partner or Wholesale account we’d invite you to contact us to learn more about serving, selling, or fundraising with us!